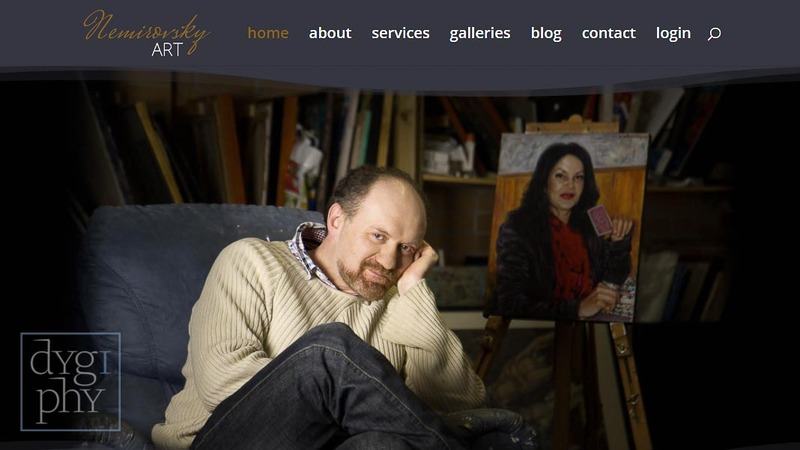 Alex Nemirovsky’s website was, apart from our own, the first website we built. It was designed about 3 years ago while we were still branded Ashley Photography, and was one of the drivers behind the launch of dygiphy in June 2017. It was built at a time when mobile device design was in it’s infancy. Alex requested the site redesign to provide a better mobile experience for his client’s. This was a costly thing to achieve 3 years ago, and involved building 3 separate interfaces for mobile, tablet and desktop. It also meant higher maintenance costs because any change had to be applied to all 3 builds. Thankfully new technologies have emerged in the last few years that have made it possible to design 1 interface that adapts to any screen size. The process is called “responsive design”, and involves designing pages around a grid of content modules, each of which can dynamically move and resize as the screen size changes. It is still a complicated design process. Making the most of a large screen with mouse control, without compromising touch screen mobile device experience requires careful planning. Thankfully though we can now achieve this by building 1 adaptive interface which radically simplifies the maintenance process. Web fashion, and design technology is changing quickly. Right now there is a trend towards “asymmetric design” which is a move away from the structured grids that make responsive design possible. Like all fashion, the changes are driven by the need to differentiate from the current responsive design norm that is only just becoming ubiquitous. The good news is, at dygiphy we have developed a design process that means much of the content from older websites can be ported to a fresh new interface, making a “web refresh” an affordable thing for small businesses to do every few years.